This two prints are especially created in collaboration with Thomas Buxó for Foam Editions and accompanies the book Ký ức//Memento, which Simone Hoang self-published in 2015. By reusing the offset printing plate, each edition is slightly different and therefore unique. 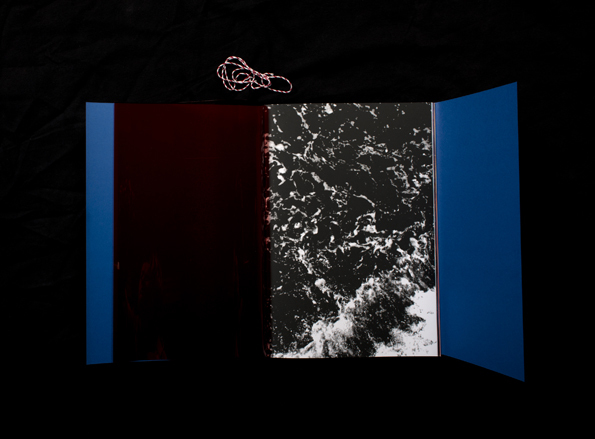 The book is wrapped in a handmade sleeve made of proofs. Simone Hoang tries to manipulate time and investigates memory loss. She lets herself be guided by sensory perceptions and is fascinated by the workings of the mind: how it adds but also omits elements; how memories fade or even disappear. The Altering shows the malleability of memory. As clear and detailed as these memories feel, Hoang finds they are surprisingly inaccurate. 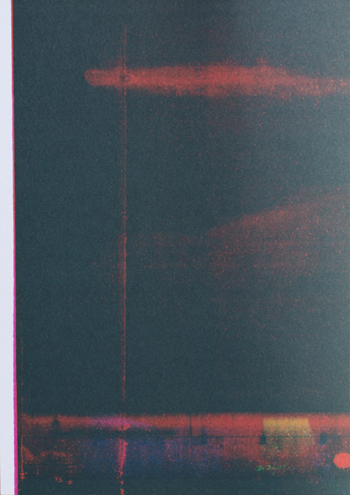 In The Altering Hoang analyzes the image by reusing an old offset printing plate that has been used for her first book. By repeating this process, she shows it's impossible for humans to bring memories to mind without altering them in some way. We tend to replay them in our minds, having the potential to alter them with each repetition. Simone Hoang (IJsselstein, 1982) studied Photography at the Fotoacademie in Amsterdam and did an 8x10 Master class at the International Center of Photography (ICP) in New York. She is represented by Fontana Gallery and her work has been exhibited, among other places, in the Beurs van Berlage (Amsterdam) and at Louise 186 (Brussels). In September 2016 she was accepted at the Jan van Eijck Academie to create and print a new book. The book with photos (mounted on Dibond) will be carefully wrapped and sent as an insured parcel. You will receive a track and trace code once the parcel has been posted. A copy is on display at Foam Editions, the gallery space on the third floor of Foam Fotografiemuseum. For more information, please, contact one of the team members of Foam Editions.